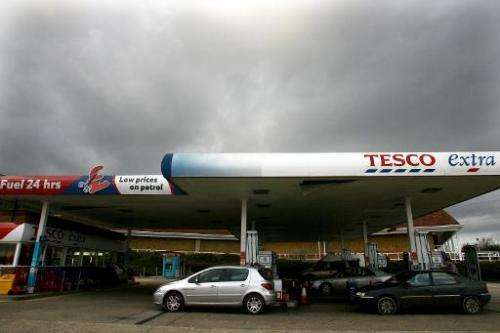 Britain's biggest retailer Tesco is to install screens at its petrol stations that scan customers' faces so that advertising can be tailored to their age and gender. Amscreen chief executive Simon Sugar admitted that the devices were "like something out of 'Minority Report'", the 2002 sci-fi movie directed by Steven Spielberg. But he told The Grocer magazine: "This could change the face of British retail and our plans are to expand the screens into as many supermarkets as possible." The screens detect the faces of shoppers approaching the tills and identify their gender and approximate age. They then display adverts targeted at that demographic group. Privacy campaigners blasted Tesco's decision to use the "OptimEyes" technology and called on the retailer to inform customers when they are being scanned in this way. "Scanning customers as they walk through the store without customers ever giving permission for them to be scanned in that way... There's a huge consent issue there," said Nick Pickles of the campaign group Big Brother Watch. But Amscreen insisted its technology is "non-intrusive" and "meets with privacy and data protection requirements". "The screens do not use eyeball scanners, facial recognition or identify individual customers in any way," a spokeswoman told AFP. "They simply estimate whether a person is male or female and which one of three age groups they belong to." Amscreen, which was set up by British technology tycoon Alan Sugar in 2008, launched its face detection technology in July. London-listed Tesco was forced to sell most of its loss-making American chain Fresh and Easy in September, but announced plans last month to create a supermarket giant in China. Do supermarkets use loyalty cards to exert power over 'unruly' customers? I wonder if they keep those pictures after they determine the age and gender on the fly.